If one thing is widely admitted without much debate is the dismal state of equality for the non-male or non- masculine in the South Asia, and particularly in India. 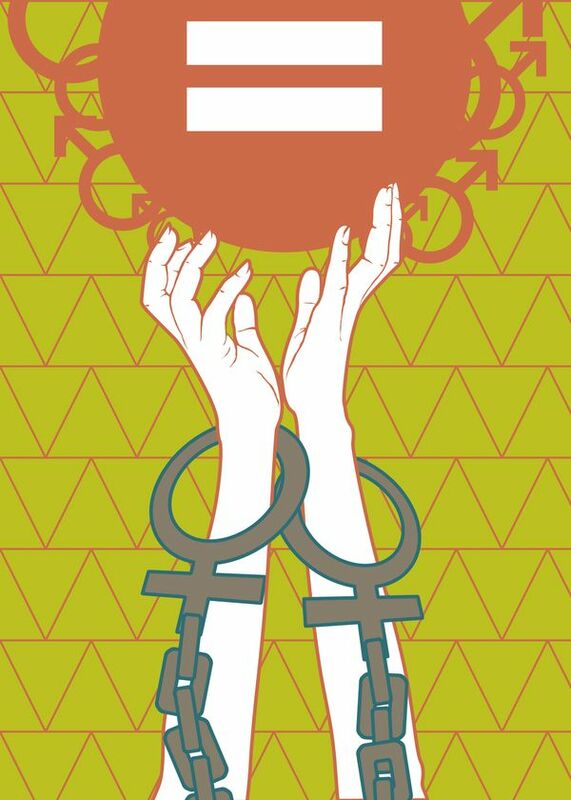 Till recently, the assertion of rights and the policy debates were focused on ensuring the balance of power in terms of cis-gendered binary. The gender rights landscape is undergoing alterations as the arena of contest of equality has expanded to incorporate rights of queer community and people belonging to fluid sexuality. Does this mean, that erstwhile problem of cisgender binary and unequal distribution of power and emanating roles and societal status has been resolved? The answer is straightforward- definitely not! Though what is commendable is the initiation of a process whereby, the alternate sexualities and identities are being accepted and talked about. The increased assertion of sexuality and equal status by the subaltern (read all but heterosexual males) is often met by backlash. The nature of backlash can emanate from various sources- institutional structures, cultural and societal labyrinth. Institutions, which are embodiment and formal codification of societal norms, regulate access to the state resources and state guaranteed distributive justice. The role of society – its norms, mores, social policing and values guiding it, is at the same time exceptionally great, as it not just forms the basis of the institutional build up, but also penetrates in the most personal space of an individual and is part of the cognitive and normative development of the person. Each individual is embedded within the larger society and hence, his/her actions are reflective of that very acculturation. When an individual or group of individuals try to break away from the norms, challenge the societal position accorded to them and the roles defined to them, they are not dealing only with individual position in society, but are also challenging established power relations and related access to resources. This results in repercussion which vary in degree of violence, ranging from minor disapproval to social ostracizing or even overt act of violence. The complicated entwining of the individual with society often results in heated arguments over the correct choice of action- whether institutional reform or societal reform? Top down approach or bottoms up approach? But, the years of experience of gender literature and activism for gender rights has shown that no one approach is the answer. Like every development programme, there is no one size policy that fits all, neither are there any silver bullets. The answer is multi-pronged approach(es). In the proceeding section, lets elucidate this with examples. Let’s look at the three reforms that shook the Indian policy and societal space. The provision of land rights to women and daughters, the nullification of article 377 criminalising homosexuality and judgement of supreme court of India granting rights to the women of menstrual age to enter Sabarimala temple. The first been the longest in operation has not fulfilled its objective as still only 2 percent of farmland in India is owned by females. This is mainly due to the unacceptability of land ownership by females, as female child is not considered the heir or carrier of the family heritage and lineage, hence still the land power resides in hands of man. Secondly, in case of article 377, though homosexuality is no longer a crime in the country, but gay or bisexual couples are treated with contempt and often ostracized. The violence that ensued post Sabarimala verdict and post successful entry of two women, tells a case of strong disconnect between institutional orders and ground operational reality. Does this stand alibi, to the futility of institutional reforms in ensuring gender equality? The answer is complicated. Though the reforms did not ensure the desired outcomes, but it wasn’t because of shortcomings of institutional reform but because they were seen as the end in themselves. Without institutional immunity, the women could have never thought of entering Sabarimala, the gates of judiciary were slammed on face of women in case of land rights and homosexuality was punishable in courts of law. These institutional reforms have ensured that now these very acts are constitutionally accepted, and all people have rights to judicial recourse. Once the institutions are reformed the highest level of codification of unjust power relations is altered, challenged and norms questioned. They ensure a hammer blow but to reverberate the waves of the change to the very base, it is essential to build a sound base. Institutional reforms and societal reforms are not a question of ‘either’ or ‘or’ but they are joined by ‘and’. Until development and gender practitioners of the country see the policy formulation and reforms in this light, both bottoms up and top down shall dissipate at the level of institutionalization. For a sustained and successful change in gender rights scenario, combining institutional reforms with a sound grassroot base is inevitable. Until then, there shall be disconnect between ground realities and institutions which claim to be embedded in them. Institutional reforms in providing gender rights are must and often a solid first step but have to be substantiated by continued efforts that ensure their penetration to the last person and household. They can and are the beginning but never the end. Centre for Social Research (CSR) by combining its academic expertise with tireless activism has been actively involved in changing both the institutional set up in the country along with preparing grassroots for a societal change. CSR through its multitude of projects is spreading awareness and generating momentum in every possible artery of the nation to alter the gender relations and insinuate a society composed of equal power sharing among people of all gender identities. The centre has a wide spectrum of programmes. Some focusing on providing skills to the females in remotest corners of the country, partnering with government for successful institutionalization and implementation of the policies such as BetiBachaoBetiPadhao, and at the same time has been one of the most vociferous organization demanding constitutional reforms to alter and abolish all unjust and discriminatory practices. CSR understands the complexity of societal and relations and hence it strives to combine best of all practices, academic and technical understandings,as the situation and issue demands.